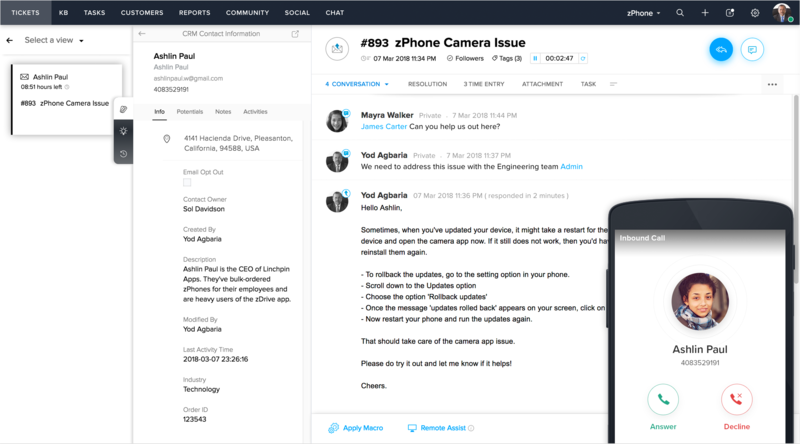 An entire call center, right within your browser. Zoho Desk brings to you traditional customer service telephony that has been redesigned for the cloud. Reaching the right customer service agent can be like finding your way through a maze. But Zoho Desk's Interactive Voice Response (IVR) simplifies the navigation of your customer service hotline. 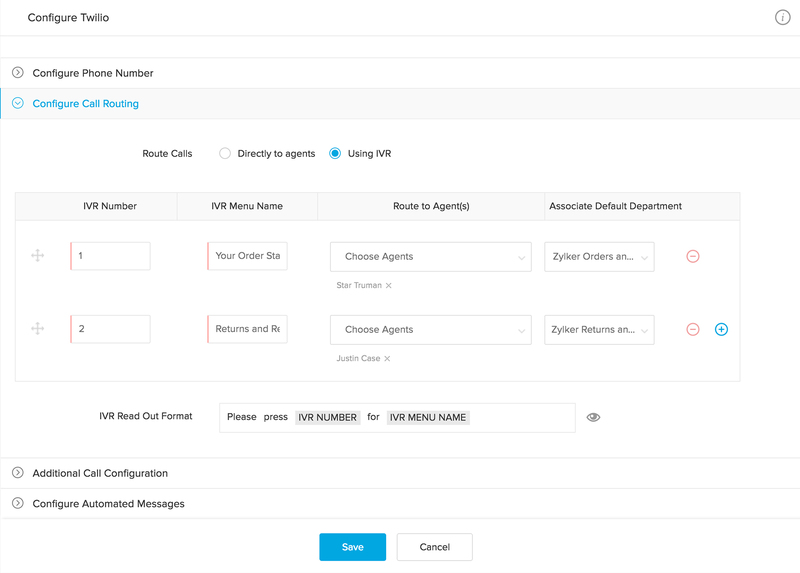 Customers can reach the right support agents based on the IVR options they choose. Rewind and playback, the good old way. In every call, there's something new: an insight or an inspiration. With Zoho Desk, record all incoming and outgoing calls automatically. You can listen to them later and discover new ways to improve. And old call could also hold the answer to a new problem that you've encountered! Never miss a call, even when you miss one. You never have to worry about missing a call again, because telephony in Zoho Desk comes equipped with voicemail. Customers can leave their questions as voice messages and they all get logged as new tickets. Agents can respond to them like they respond to regular calls. Take the right call, in every sense of the word.